The Hub Community is a trans-denominational, multi-generational group that worships God and fears him alone. We take seriously Jesus’ command to love our neighbor and we intentionally share our lives with Muslims. Our desire is to actively and practically live out our faith by engaging the diverse Muslim communities among us, and around the world, inviting them to follow Jesus. Hub Communities gather weekly to encourage each other and learn how to love Muslims. The basic requirement to join is having a Muslim friend. If you would like to know more, we’d be glad to answer your questions. Meeting Muslims, Part 2 – Where Are They? I took off my shoes and put them into a cubbyhole, just inside the front door of a mosque, in Seattle. Was this really happening? I shook off the haze of surrealism and strengthened my resolve. In 1998, I was about to move to the Middle East. My knowledge of Lebanon was limited to a ten-day trip I had taken previously. My friend Bob questioned my lack of preparation. “So how many Muslims do you know?” I had to admit to a goose egg. Zero. He promised to connect me with an Iraqi Kurdish friend of his, whose family needed tutoring in Conversational English. That was a great start, but I understood that to avoid culture shock, it would be better to have a wider exposure. 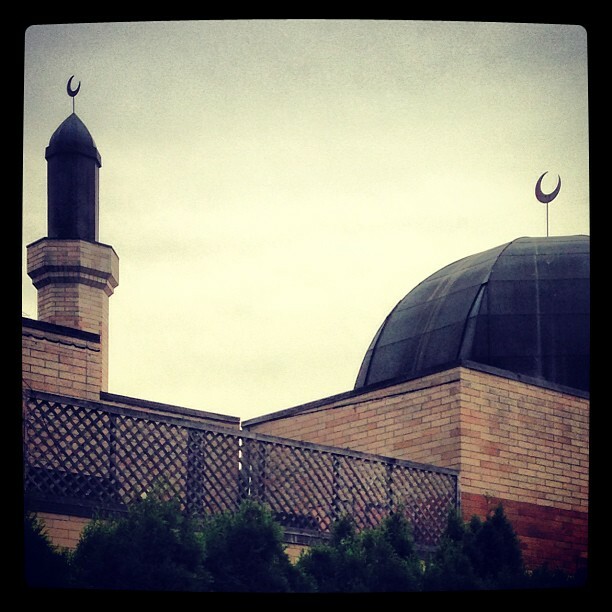 I summoned the needed courage to visit the one mosque I knew about. Where else could you go to meet Muslims? I was led into the basement of the building. Without having any idea of the Friday prayer schedule, I had arrived late, but just in time for the Qur’an study afterward. I was ushered into a room with fifteen bearded men seated around a long rectangular folding table – exactly like the tables in my church’s fellowship hall. The Imam welcomed me with a smile and bailed on the planned subject of the class in favor of exchanging theological points with me. The two of us had an informative though somewhat defensive conversation. The others in the room observed silently, adding tension. I managed to escape the torment after an hour and a half and reclaim my shoes. I left with a Qur’an in hand, given as a gift. Of course it was awkward. How could it be otherwise? In retrospect, I considered what it would be like to reverse the situation. What if a Muslim walking into church just in time for Sunday School? The novelty would create a host of questions. Is this guy here to try to disrupt our worship? Is he dangerous? Maybe he wants to convert? The emotions would range between fear, distrust, and defensiveness all the way to hopefulness and potentially excitement. But it wouldn’t be comfortable. How would the pastor respond? Would he patiently explain the Trinity? Would he invite the Muslim to share about his beliefs? How many of the others attending the class would engage respectfully in the conversation? Do you think it likely that such an exchange would end in friendship? In contrast, I think of Nabih and Omar. I met with them a couple times a week at the Lebanese restaurant where they worked. I’d drop in at 3:00 PM when there were no customers, and learn vocabulary words from Nabih. One time, Omar agreed to teach me the Lebanese national dance – the Dabke. We stood next to each other between the tables. With fingers interlaced, we moved counterclockwise. Left, right, left, right, left foot kick, stomp. Playing soccer, shopping at international markets, and watching for cultural events are other great ways to connect. Intentionally deciding to be friendly and slowing down long enough to talk are key components too. Where have you met Muslims in settings more conducive to friend making? Meeting Muslims, Part 1 – Where Are You From? I was in Alderwood Mall on the day before Mother’s Day. The kiosk salesman had made eye contact and since I was interested in talking to him, I allowed myself to be reeled in. He spoke in an accent that made me believe he was an Arabic speaker – maybe even Lebanese. I held out my hand and he began to polish my fingernail. Oh, man. How do I get myself into these situations? I overcame my discomfort and asked him, “Your accent sounds familiar. Do you speak Arabic?” I said the last part in Arabic. He flipped over his tool to the side with finer grit. “No, not Arabic, but it’s close,” he said. By now my fingernail gleamed as if it had been painted with clear coat enamel. The guy artfully shifted the focus off his nationality and on to why I should buy polishing kits for my wife, mother, daughter, sister, and neighbor lady. I managed with difficulty not to buy anything. When I walked away he shot out an Arabic parting phrase that again sounded precisely Lebanese. I really can’t say for sure that he was lying to me, but his not knowing my intentions in asking gave him enough incentive to play it safe. 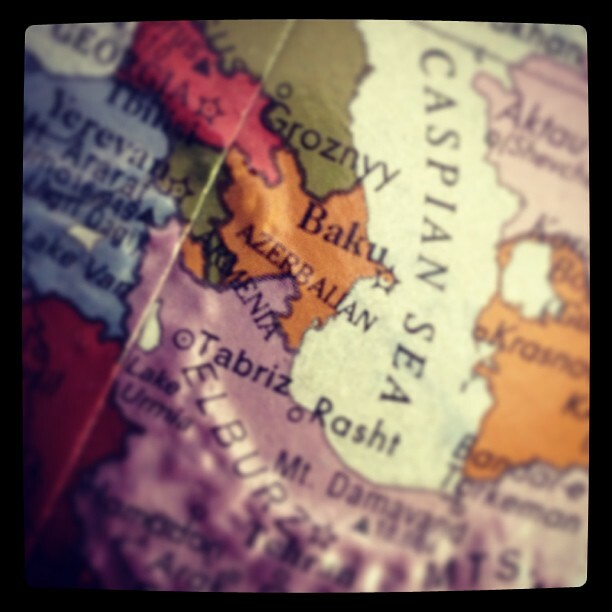 Most Americans know so little about Azerbaijan that they wouldn’t have any prejudices to judge by. Confessing you’re an Arab is riskier. Americans associate Arabs with terrorism, much as Russians were suspected to be communist spies not so long ago. It reminds me of a couple in the store I used to work in, whose groceries I once bagged. The checker started the normal chitchatting with the customers as I packed their stuff. They were telling her that they’d just moved to our town. I kept the conversation going. “Welcome to the neighborhood. Where are you from?” There was a miniscule pause as the two looked at each other, wondering who would answer. “That’s interesting. I’ve never been to Tennessee. What’s it like there?” We continued talking while I put the bags in the cart and the checker took their money. They seemed surprised when I offered to load the bags into their car for them. Out in the parking lot, they opened the trunk, and I politely pretended not to see the freshly changed California license plates. You see, Washingtonians have a reputation for despising the Californians that come and make it too crowded. Making friends with our Muslim neighbors is significant, but starting by asking their country of origin to break the ice is somewhat counter productive. It shouldn’t surprise me. I was tempted many times in Lebanon to say I was from Canada. Once I was advised by a Muslim friend to say I was German when we were in an anti-American part of town. So what’s your advice for a less intimidating way of engaging in conversation?